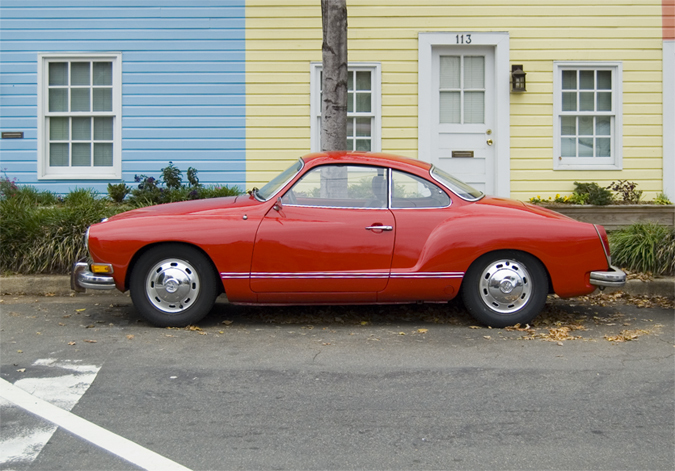 Introduced in 1955, the Volkswagen Karmann Ghia (designed in Germany by coach builder Karmann) looked like a squashed Beetle. The Ghia’s smooth lines and curves were constructed from hand-shaped alloys (English pewter) and fancy welds to give it a distinct look and subsequently a heftier price tag. 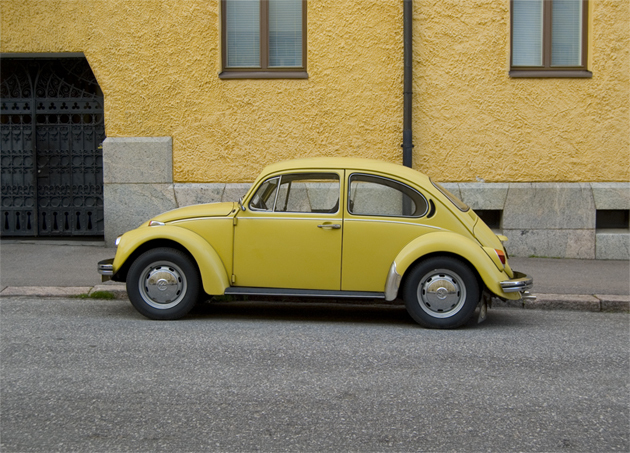 It was Volkswagen’s flagship model at the time and made the bolt-on Beetle look even more utilitarian. The Bug did get the Karmann design treatment though with the Convertible/ Cabriolet line. There is a wonderful French film by Jacques Tati called Trafic (Criterion DVD out-of-print!) 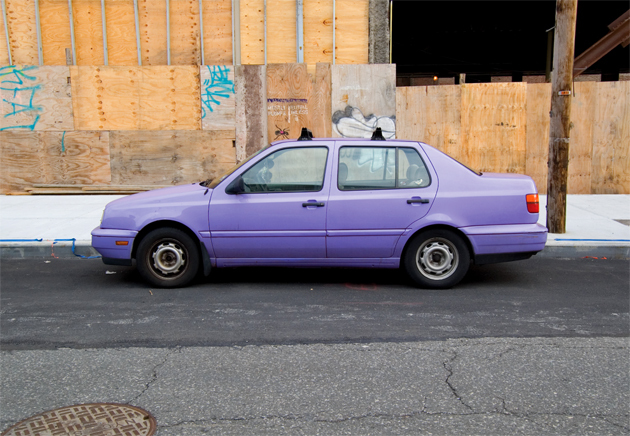 that is filled with colorful cars and characters. It’s the story about a car designer (Tati resuming his M. Hulot role) trying to get his latest vehicle to an Amsterdam car show. If you’ve seen any of Tati’s films starring his alter-ego Monsieur Hulot, you’ll know that they have numerous sight gags, precision comic-timing and very little dialogue. I highly recommend all of them especially this one and Playtime. Here’s the trailer for Trafic. Jacques Tati stated in an interview on French television that his films sometimes tell a story through hundreds of details: “I try to bring a smile to familiar everyday situations. In Trafic, it’s automobiles.” I hear you Monsieur.